Bet Giants over Redskins at -110 with Karamba. Bet Lions over Seattle at -167 with 888Sport. Bet Bengals over Buccaneers at -205 with 888Sport. Bet Packers over Rams at +330 with Karamba. We’ve reached the halfway point of the 2018 NFL season, and one thing NFL betting fans have learned so far is that the NFC East is a mess. The Washington Redskins have been in the driver’s seat to date, but history shows us that they’re no better than mediocre. Can they uncharacteristically win three in a row or can the New York Giants – who are mathematically not out of the race at 1-6 – spring a small upset? That’s where we’ll start with our weekly moneyline picks. The most incredible statistic was uncovered by Dan Steinberg, a longtime Washington, D.C., sports journalist, the other day: The Redskins are 1-1 in their last two games, 2-2 in their last four games, 3-3 in their last six and the pattern continues until you hit 57 games. In the Redskins’ last 57 games, they are 28-28-1, never having veered out of those two-game patterns with the exception of that one tie in the 57-game sequence. The Redskins defensive statistics look good on paper, but it seems like they’ve benefited from two main things: playing mediocre offenses (Carolina, Dallas and Arizona) and playing four of their first six games at home. They still have just 14 sacks on the year (24th in the NFL) and if Eli Manning has time to operate, the Giants should make this close. Bet the Giants -110 with Karamba. The Seahawks have won only one true road game this season, and that was at the Arizona Cardinals, who have shown how horrible a team they are. They didn’t even win that game very convincingly, as they were 0-for-10 on third downs in that game and needed Arizona to miss a 45-yard field goal in a tied game late in regulation. Sebastian Janikowski of the Seahawks then made a 52-yard field goal for the win. Seattle beat the Oakland Raiders, but that was in London, not a game in which the Seahawks had a disadvantage relative to the crowd. Detroit has played well of late, winning three of four and looking well-balanced in the process. They rushed for 258 yards last week in their win over the Miami Dolphins. Their main weakness on defense is their own run defense but they traded for Damon Harrison mid-week, who is known as one of the league’s best run stuffers. That should help their cause in this spot. Take the Lions -167 with 888Sport. The Buccaneers did win their most recent game, but they needed a 59-yard field goal to do it, and they needed the Cleveland Browns to fumble on a punt return late in overtime to get the ball back. That game, without the fumbled Cleveland punt, very likely would have been a tie for the Bucs, who were playing the Browns at home. The Buccaneers recently made a change at defensive coordinator, and the defense did play reasonably well against the Browns but the Bengals are a much tougher outfit –especially on the road. There’s Andy Dalton, Joe Mixon and A.J. Green, who are much better than anything Tampa Bay’s defense saw last week. Cincinnati has lost only once at home this year, while the Buccaneers haven’t won on the road since Week 1. Take Cincinnati -205 with 888Sport. The Rams do have the best offense in terms of points scored and yardage gained in the NFC. They will win most statistical comparisons with Green Bay and just about every other NFL team, with the possible exception of the Kansas City Chiefs. 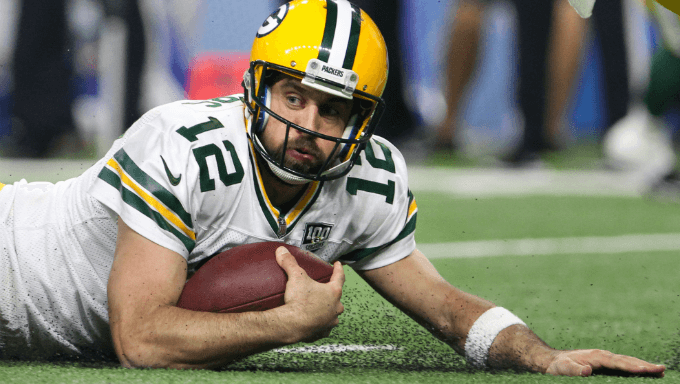 However, Aaron Rodgers has thrown five touchdown passes without an interception in each of his last two games. He has registered a quarterback rating of over 100 in each of those games. He is not making mistakes and he has an established history of beating better teams on the road, both in the regular season and the playoffs. Moreover, this team is coming off a bye week and is getting healthy. Reports indicate that Randall Cobb and Geronimo Allison have practiced this week. Meanwhile, the Rams are coming off a three-game road trip and sometimes teams who are playing their first game back at home are a little sluggish. There are a number of big favorites on the board this week, but if you were to take a moneyline upset special, this is the place to do it. Grab the Packers at +330 with Karamba.